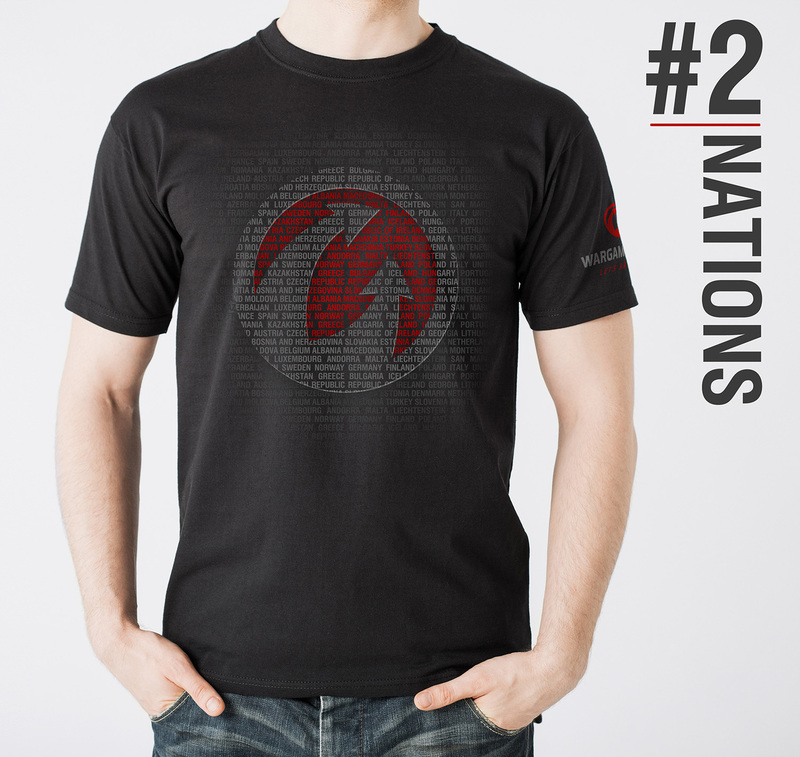 [UPDATE] The European community has chosen the T-shirt for 2014! Here is the T-shirt that you voted to be used for upcoming community events in 2014!! The 2013 Community T-shirt was a big hit and those of you who came to our community events now wear it proudly. Now that the year is coming to a close, we’re looking at making a new T-shirt for 2014 and we wanted to give you the opportunity to submit a new design for it. Designers and artists! If you would like to see your art printed on the thousands of community T-shirts we order for the community events of 2014, this is your chance! The submitted file should be 300 dpi, size A4 (210 x 297mm) and contain a maximum of 3 colors, excluding the black background. It is much more helpful if the file is layered, 1 per color. To ensure that the T-shirt appeals to all our players, it should focus on a visual or written message related to the community and Wargaming. If you wish to include the games themselves, please keep in mind that everyone attends the community events, so elements from all 3 games would need to be included (World of Tanks, World of Warplanes, and World of Warships). This T-shirt is for the whole European community, so it should not focus on a specific nation or political view but instead focus on Europe as a whole and the unified diversity of nations and people that we represent. Front and back design submissions will be considered as well, but are not required. Submissions must be received before December 30th 2013. All submissions must be attached to an email that includes your nickname. The email address is: communitytshirt2014@wargaming.net. This competition is open to all players with a valid Wargaming account. If you are under the age of 18, you must obtain your parent or guardian’s permission to enter the competition. Your design can include words or phrases but must be in English only. To understand the sort of message a community T-shirt could communicate and to serve as some inspiration for you, we brainstormed a few keywords on what the theme of a community T-shirt could be: Gathering, Meeting, Community, Europe, Social, Camping, Teamwork, Team Spirit, Brotherhood, Family, MMO, Crew, Interaction, Communication, Conversation, Historical, Event, Machinery. How will we choose the best design? After the submission date closes, the staff at the European office will choose around 3 to 10 top designs that best fit the community. We will then hold a community-wide vote where all of you will decide which design is chosen for the T-shirts. We would like to remind you that this T-shirt will not be sold and will only be used for community gatherings and special events. By submitting your design to us you agree to allow us to use it for producing T-shirts featuring the design to give out at our events. We’re looking forward to seeing your designs!